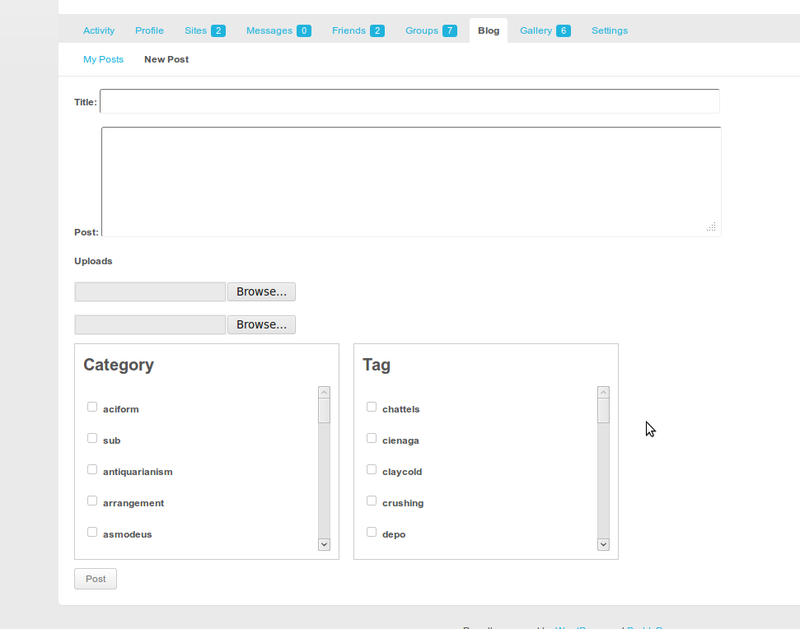 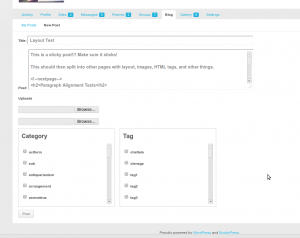 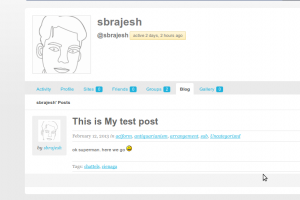 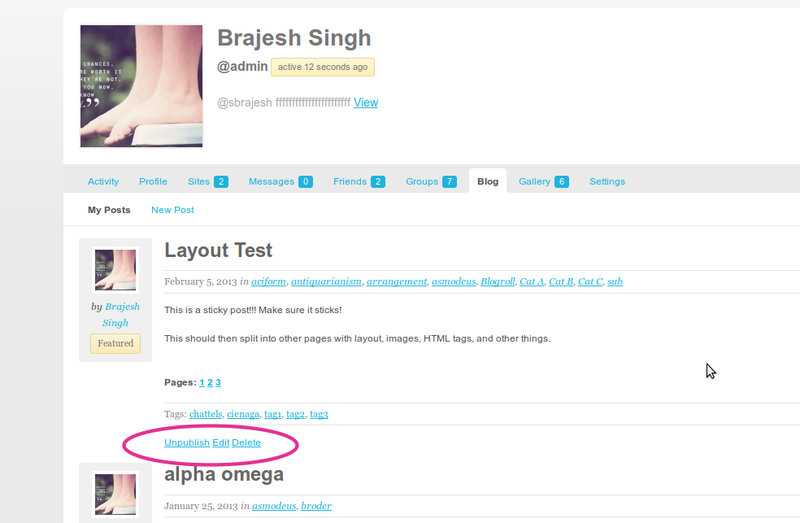 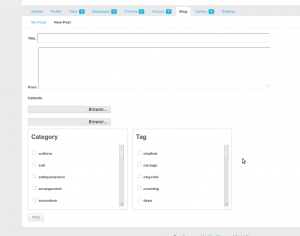 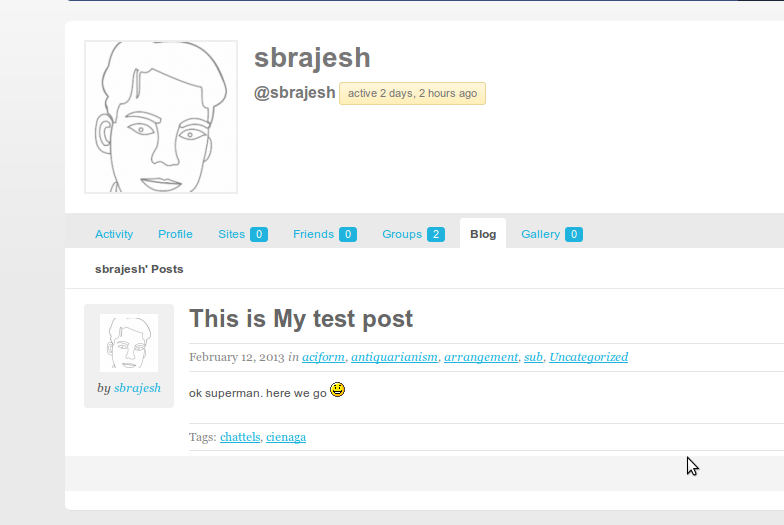 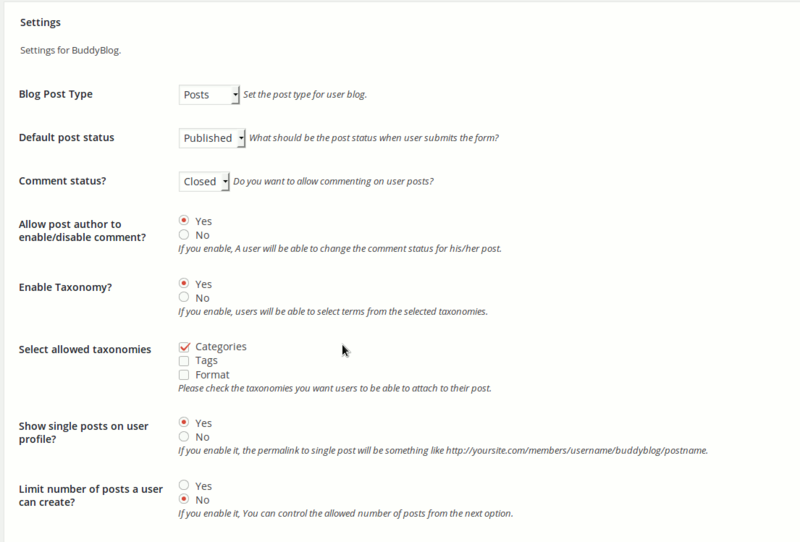 BuddyBlog is a BuddyPress plugin which allows users to create/manage their blog/posts from profile. 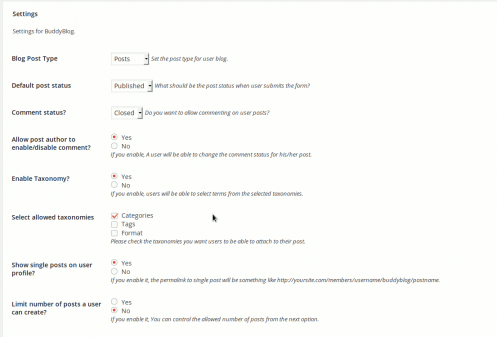 BuddyBlog allows easy front end blogging with BuddyPress. Admins can control who can publish/what can be published etc, various options from admin. 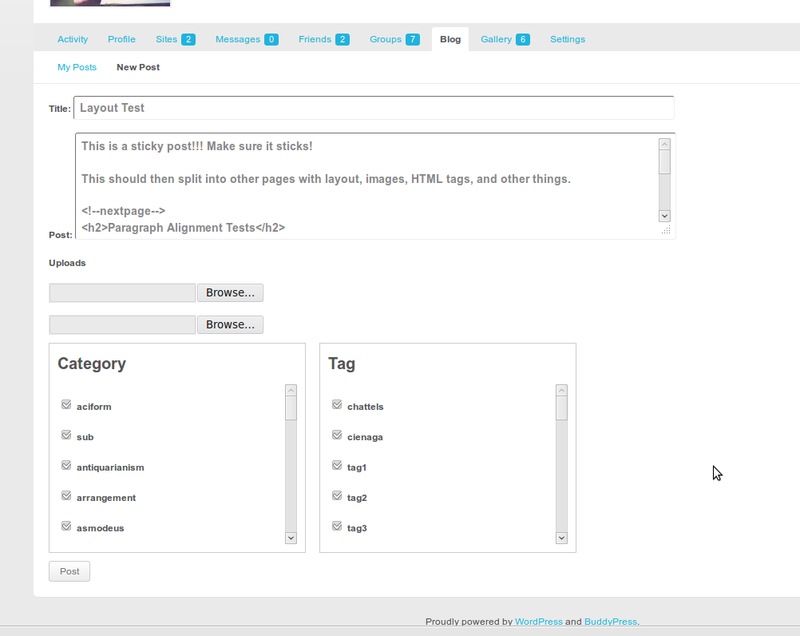 Needs Simple Frone End post plugin to create post. 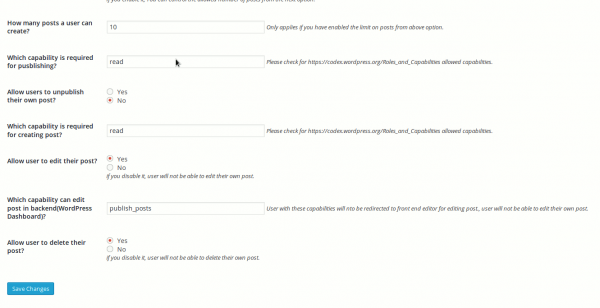 For more details and customization, please read this post.